It was a wonderful day trip in a scenic landscape. Calm sea, 29°C, bright sunshine and 23°C water temperature .... perfect conditions for a nice and relaxed day on an open 6m boat. We visited some small villages on the islands, hade a nice cruise along the coast and we anchored for swimming/snorkeling at small beaches. Thanks to our competend and smart captain, we arrived savely in Trogir harbour a few minutes before a heavy thudersturm started. 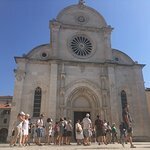 We used Trogir travel for everything we did in Croatia.Our housing in Dubrovnik and in Split as well as all our excursions. We did the wall tour in Dubrovnik which was amazing great guide who knew many interesting facts. Also did the Cable car had dinner on top of the mountain absolutely breathtaking.Apartment was beautiful right inside the walls.We were there for 4 nights incredible.We also spent 2 weeks in Split. Again Trogir provided the apartment 2 blocks from city center.Plitvice Lakes is amazing great guide. 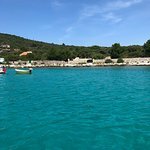 We also did the Private speedboat tour to Brac Island an amazing day with Tomo.Luka was our driver and was very professional.We are planing a return trip and would use Trogir again in a heartbeat.Marija,Tomo and Luka were fantastic so were the guides very knowledgeable. 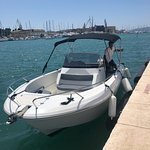 Would recommend this company for excursions in the Trogir area. Good communications and value for money. We hired a kayak for the day which was a good way to see the coast though pretty hard work when the wind is against you! On a separate day we were taken to the blue lagoon for a swim. Lovely comfortable speed boat and our driver was very helpful and polite. The ‘blue lagoon’ is more a sheltered inlet but lovely for swimming and snorkeling. We had great time on our half day Blue Lagoon trip. 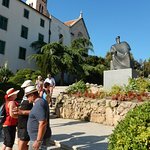 Our skipper Tomo suggested to see also other places on the Drvenik Veli island, which gave so much more to the day. Tomo was very friendly and nice opened but not intrusive at all. The boat was also super nice. Would recommend for sure!